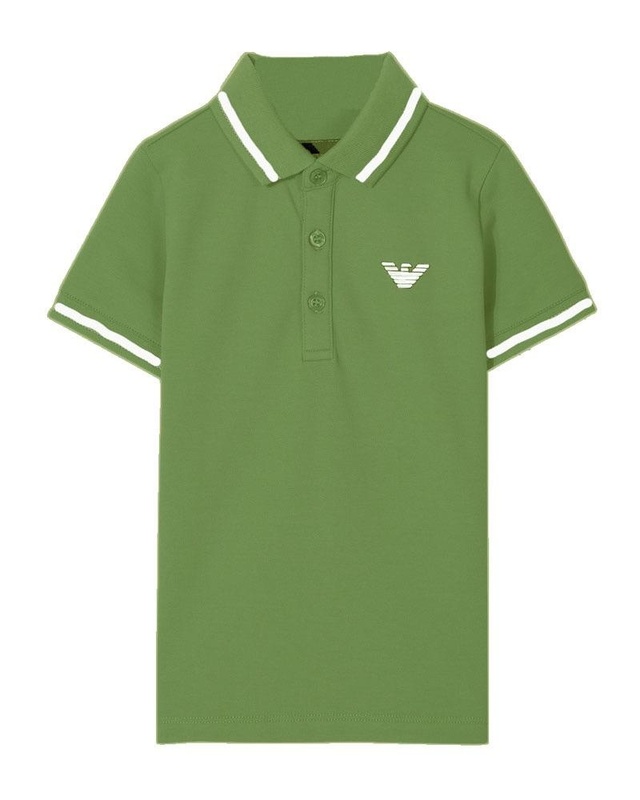 Emporio Armani soft cotton green polo with white contrast logo and trim detailing. 95% Cotton, 5% Elastane. Imported.